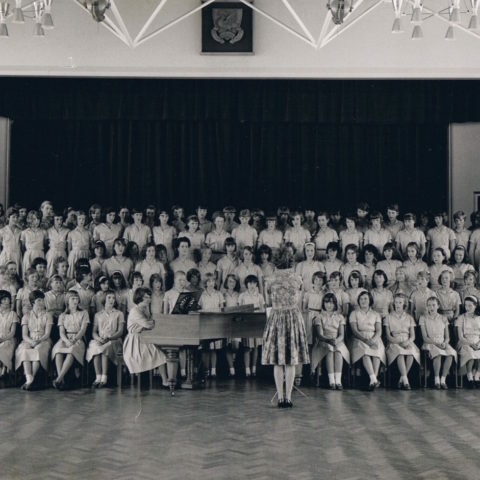 This image comes from an album of photographs and cards compiled by a school girl at St Felix School Southwold, an independent girls’ school. The pupil who compiled the album named each person. 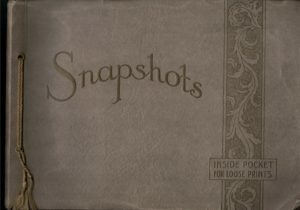 The album is an interesting mix of class photographs, and photographs of teams, along with picnics, views of buildings and dramatic productions of various kinds. 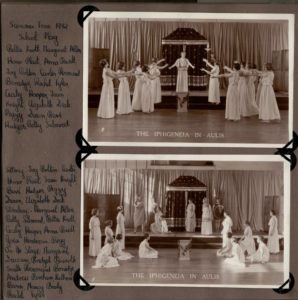 The production of Iphegeneia in Aulis reminds me that even in the 1950s the school uniform at my state girls’ grammar school included a Grecian dancing costume.